Grandmothers have been handing out advice for centuries and their tried and tested methods are often the answer to many modern day problems. Did you know that malt vinegar and baking soda are as good as any branded cleaning product? That you can make your own delicious lemonade? Or shampoo that's perfect for your hair colour? Or what the best way to banish nasty bruises and a nagging toothache is? In Grandmother's Wisdom you'll find all the recipes, tips and good old common sense that grandmothers have learned and put into use throughout their lives. All the methods actually work - not an old wives' tale in sight! 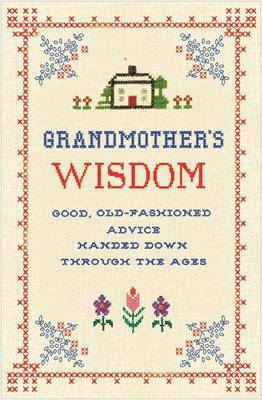 Charming, entertaining and practical, Grandmother's Wisdom is the perfect gift for someone needing a little bit of Grandma's guidance.